The Portuguese capital Lisbon (pronounced [ˈlɪz.bən] in English), famous for the trams climbing up and down its hills, is known as Lissabon [ˈlɪ.sa.bɔn, ––ˈ–] in German and as Lisbonne [lis.bɔnə → liz-] in French. But the Portuguese name is Lisboa [Portugal: ɫiʒ.ˈbo.ɐ, Brazil: ɫiz.ˈbo.ɐ], and this is also the name in Spanish, where it is pronounced [liz.ˈβ̞o.a]. In Korean this city is known as 리스본 Riseubon, which the Great Dictionary of Standard Korean (표준국어대사전) implies is a transcription of the English name ‘Lisbon’. Strictly speaking, however, applying the Loanword Transcription Rules for English to this would yield 리즈번 Rijeubeon, whereas 리스본 Riseubon is the result of applying the Rules for French. This does not mean that 리스본 Riseubon really comes from French; rather, a simple spelling-based transcription of English ‘Lisbon’ most likely resulted in this irregular traditional form, as was probably the case for Japanese リスボン Risubon, itself also a possible influence on the Korean form. 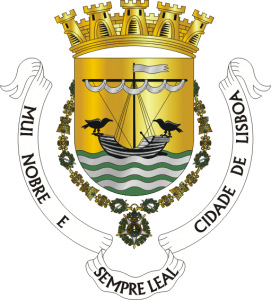 The coat of arms of Lisbon. Mui nobre e sempre leal cidade de Lisboa translates to ‘Most noble and always loyal city of Lisbon’ (Wikimedia: Sérgio Horta, CC BY-SA 3.0). This toponym derives from Vulgar Latin Olisipona, corresponding to Classical Latin Olisīpō. It was known in Greek as Ὀλισσιπών Olissipṓn or Ὀλισσιπόνα Olissipóna. Traditional theories about its origin either connect it to Odysseus from Greek mythology, known as Ulixēs in Latin, or posit that it comes from the Phoenician name 𐤏𐤋𐤉𐤑 𐤏𐤁𐤀 ʕLYṢ ʕBʔ (עליץ עבא in the Hebrew alphabet) meaning ‘calm bay’ or ‘safe harbour’, but these are not widely accepted today. The true etymology remains unknown, though the name could come from a language that is now forgotten, like Tartessian. From Vulgar Latin Olisipona, the voicing of intervocal ‘p’ and the deletion of unstressed vowels gives *Lisbona, which partly coincides in form with Latin bona, feminine for bonus (‘good’). In Portuguese, bona became boa, by way of bõa as an intermediate form. In French, bona became bonne. These developments are mirrored in the Portuguese Lisboa and French Lisbonne. In Spanish, meanwhile, bona became buena, so Lisboa has to be explained as an adoption of the Portuguese form rather than an independent development. The 37th meeting of the Joint Committee of the Government and Press on Loanword Review in 18 December 2000 decided that the standard transcription of the Portuguese name Lisboa in Korean would be 리스보아 Riseuboa. To make it clear, this doesn’t replace 리스본 Riseubon as the usual name for the Portuguese capital—just that when there was an occasion to refer to the Portuguese name for the city, 리스보아 Riseuboa would be used. 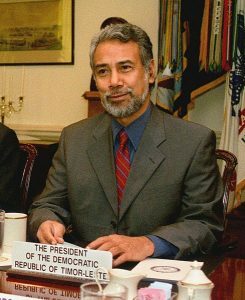 Meanwhile, on 17 December 2003, the 55th meeting of the Joint Committee decided that the name of the first president of Timor-Leste (East Timor), Xanana Gusmão (born 1946), would be written 구스망, 샤나나 Guseumang, Syanana in Korean. This is a Portuguese name; Timor-Leste was a Portuguese colony until 1975. The use of Portuguese was banned after it was occupied by Indonesia the following year, but after it gained independence in 2002, Portuguese became its official language along with the indigenous lingua franca Tetum. Due to this historical background, Portuguese names are frequent in Timor-Leste. In Portuguese, Xanana Gusmão is pronounced [Pt: ʃɐ.ˈnɐ.nɐ ɡuʒ.ˈmɐ̃ũ̯, Br: ʃɐ̃.ˈnɐ̃.nɐ ɡuz.ˈmɐ̃ũ̯]. Gusmão is a Portuguese surname that derives from the Spanish toponym Guzmán [ɡuð.ˈman], referring to a place in the north of Spain. Guzmán [ɡuð.ˈman] and de Guzmán [de.ɣ̞uð.ˈman] are also used as surnames in Spanish. The Dutch footballer Jonathan de Guzmán gets his surname from his Filipino father. The Korean transcription guide for the athletes’ names form the 2008 Olympics in Beijing gave his name as 요나탄 더휘즈만 Yonatan Deohwijeuman, following the Loanword Transcription Rules for Dutch, but as the Dutch pronunciation is actually [ˈjoː.na.tɑn də.ˈɡus.mɑn] in partial imitation of the Spanish, it would be better to write it as 요나탄 더구스만 Yonatan Deoguseuman, or simply to apply the Rules for Spanish for the surname and write 요나탄 데구스만 Yonatan Deguseuman. Xanana is a nickname that comes from the name of the American rock and roll group Sha Na Na. Portuguese ‘x’, like English ‘sh’, represents the voiceless post-alveolar fricative [ʃ]. When the Joint Committee decided the standard transcriptions for Lisboa and Xanana Gusmão as 리스보아 Riseuboa and 구스망, 샤나나 Guseumang, Syanana respectively, there were no rules yet for Portuguese in the Loanword Transcription Rules. It wasn’t until 28 December 2005 that the Rules for Portuguese were added, along with those for Dutch and Russian. According to item 9 of the Transcription Rules for Portuguese, ‘s’ should be written as 스 seu before a voiceless consonant or word-finally, and as 즈 jeu before a voiced consonant. The ‘b’ in Lisboa and the ‘m’ in Gusmão are voiced consonants. Therefore, according to this rule, Lisboa should be written 리즈보아 Rijeuboa and Gusmão should be written 구즈망 Gujeumang. This rule is meant to represent the pronunciation of ‘s’ as voiced [ʒ] (in Portugal) or [z] (in Brazil) before voiced consonants. The introduction of the Transcription Rules for Portuguese in 2005 was accompanied by the publication of Loanword Transcription Examples: Portuguese, Dutch, Russian, which transcribed Lisboa as 리스보아 Riseuboa as previously decided. This booklet marked established transcriptions that did not follow the rules with asterisks, as in Rio de Janeiro *리우데자네이루 Riudejaneiru (this would be 히우지자네이루 Hiujijaneiru according to the rules); but Lisboa 리스보아 Riseuboa is not marked as such. Moreover, the Angolan toponym Nova Lisboa is included as 노바리스보아 Nobariseuboa without an asterisk in this publication. Nova Lisboa means ‘New Lisbon’ and has been called by its original name Huambu [ˈwɐ̃m.bu] since after the independence of Angola from Portugal in 1975. Xanana Gusmão was not included in Loanword Transcription Examples: Portuguese, Dutch, Russian. It seems to be the case that when the Transcription Rules for Portuguese were added, it was not noticed that Lisboa and Gusmão needed to be revised according to the new rules. They were therefore simply omitted from the process of deciding whether to revise the transcriptions or to keep the old ones as established exceptions. Why have this rule of writing Portuguese ‘s’ as 즈 jeu before voiced consonants, when it leads to such confusion? Do we really need it? Of course, the intention is to show that Portuguese ‘s’ is pronounced [ʒ] in Portugal and [z] in Brazil, but similar sound changes in Spanish and Italian are not reflected in Korean transcription. In Spanish, when syllable-final /s/ is followed by the voiced stops /b, d, ɡ/ as in desde /ˈdes.de/ and rasgo /ˈras.go/, the /s/ is voiced as [z] and /b, d, ɡ/ are lenited to approximants [β̞, ð̞, ɣ̞]. So we get [ˈdez.ð̞e] and [ˈraz.ɣ̞o]. Meanwhile, when syllable-final /s/ is followed by the remaining voiced consonants /l, ʎ, m, n, ɲ, ʝ, w/, etc. as in isla /ˈis.la/ and mismo /ˈmis.mo/, the /s/ may be voiced to [z] or kept as [s]. In Spain, voicing typically prevails to yield [ˈiz.la] and [ˈmiz.mo], while in Latin America we typically get [ˈis.la] and [ˈmis.mo] without the voicing. Even in Spain, the [s] is kept in slower, more careful pronunciation so that we get [ˈis.la] and [ˈmis.mo]. The Transcription Rules for Spanish write syllable-final /s/ as 스 seu even if it is realized as [z] before a voiced consonant. One of the basic principles of the Loanword Transcription Rules is that one phoneme is written with one sign. Though in practice there are exceptions, the principle applies in this case so that the phoneme /s/ in Spanish is still written as 스 seu before a voiced consonant even if it realized as the allophone [z]. In Spanish, [z] only appears as an allophone of the phoneme /s/, so it is not reflected in Korean transcription. Meanwhile, the ‘z’ in Guzmán, which normally represents the voiceless dental fricative /θ/ in Spain and /s/ in Latin America, follows a similar pattern in realization. In Spain, it is usually pronounced [ɡuð.ˈman] but can be [ɡuθ.ˈman] in more careful pronunciation, while in Latin America it is usually [ɡus.ˈman] without voicing. It is therefore transcribed 구스만 Guseuman according to the Loanword Transcription Rules. In Italian, /s/ is always voiced to [z] before a voiced consonant, as in sbaglio [ˈzbaʎ.ʎo], Slovenia [zlo.ˈvɛː.nja], cosmo [ˈkɔz.mo], and svagato [zva.ˈɡaː.to]. However, these are written 스발리오 seuballio, 슬로베니아 Seullobenia, 코스모 koseumo, and 스바가토 seubagato respectively according to the Transcription Rules for Italian, which always writes Italian ‘s’ as ㅅ s, 스 seu. Unlike Spanish, Italian is usually considered to have separate /s/ and /z/ phonemes. While only [z] is used before voiced consonants and only [s] is used before voiceless ones, between vowels, both [s] and [z] can be used. For example, presento is [pre.ˈzɛn.to] when it is the first person singular form of presentare (‘to present’), while it is [pre.ˈsɛn.to] when it is the first person singular form of presentire (‘to have a presentiment of’). However, spelling is not a guide for these differences, and the choice between [s] and [z] often depends on the dialect and speaker. For example, casa (‘house’) was traditionally [ˈkaː.sa] but is typically [ˈkaː.za] today. In the pronunciation of Italian in Southern Italy, [s] is used for all ‘s’ between vowels. So the Loanword Transcription Rules do not distinguish between [s] and [z] for Italian ‘s’, writing them all as ㅅ s, 스 seu. However, one sometimes sees Italian ‘s’ that is pronounced [z] being mapped to ㅈ j in popular usage that don’t follow the Loanword Transcription Rules. The names of the dishes lasagna [la.ˈzaɲ.ɲa] and risotto [trad. : ri.ˈsɔt.to, contemp. : ri.ˈzɔt.to] are often written 라자냐 rajanya and either 리조토 rijoto or 리조또 rijotto respectively in Korean.  Following the Loanword Transcription Rules would yield 라사냐 rasanya and 리소토 risoto respectively. Also, because the plural lasagne is used in Italian instead of the singular lasagna when referring to the dish (cf. plural spaghetti instead of singular spaghetto), 라사녜 rasanye would actually be the preferred transcription according to the usage in Italian. But the dish has become widely known as 라자냐 rajanya in Korea, influenced by the usage of the originally singular form lasagna in American English. While an official transcription is yet to be decided for lasagne/lasagna, if 라사녜 rasanye is too unfamiliar to catch on, it wouldn’t do much harm to accept 라자냐 rajanya as an established irregular transcription. In Portuguese, not only are /s/ and /z/ unquestionably separate phonemes, there is a separate letter ‘z’ for /z/ unlike in Italian where there is only ‘s’ to represent both /s/ and /z/. Therefore, the Loanword Transcription Rules map Portuguese ‘z’ to ㅈ j, 즈 jeu. However, /s/ and /z/ are distinguished only word-initially and between vowels, not at the end of syllables. In Portugal and in parts of Brazil around Rio de Janeiro, syllable-final /s, z/ become post-alveolar [ʃ, ʒ]. But the Loanword Transcription Rules follow the pronunciation in the majority of Brazil and write these as if they were [s, z], as 스 seu, 즈 jeu. Word-final /s, z/ is pronounced as voiceless [ʃ] or [s], so the Rules for Portuguese transcribe word-final ‘-z’ as 스 seu. For example, the Portuguese surname Moniz is pronounced [mu.ˈniʃ] in Portugal and [mõ.ˈnis] in Brazil with the ‘-z’ devoiced, so it is written 모니스 Moniseu. Word-medial syllable-final /s, z/ are pronounced [ʃ] or [s] before a voiceless consonant and [ʒ] or [z] before a voiced consonant. As the Loanword Transcription Rules write Portuguese ‘s’ as 즈 jeu before a voiced consonant, Francisco [Pt: fɾɐ̃.ˈsiʃ.ku, Br: fɾɐ̃.ˈsis.ku] 프란시스쿠 Peuransiseuku and Gustavo [Pt: ɡuʃ.ˈta.vu, Br: ɡus.ˈta.vu] 구스타부 Guseutabu are written with 스 seu for ‘s’ but Lisboa [Pt: ɫiʒ.ˈbo.ɐ, Br: ɫiz.ˈbo.ɐ] and Gusmão [Pt: ɡuʒ.ˈmɐ̃ũ̯, Br: ɡuz.ˈmɐ̃ũ̯] should in principle be written 리즈보아 Rijeuboa and 구즈망 Gujeumang respectively. Now, the booklet Loanword Transcription Examples: Portuguese, Dutch, Russian includes the Brazilian toponym Venceslau Bráz [Pt: vẽ.sɨʒ.ɫau̯.ˈbɾaʃ , Br: vẽ.sez.ɫau̯.ˈbɾas] as 벤세슬라우브라스 Benseseullaubeuraseu. In addition, in an East Timorese name reviewed in 2007, Estanislau [포: ʃtɐ̃.niʒ.ˈɫau̯, 브: i.stɐ̃.niz.ˈɫau̯] was transcribed as *에스타니슬라우 Eseutaniseullau (the asterisk seems to be for the fact that unstressed initial ‘e’ was written 에 e instead of 이 i as prescribed by the rules). As Portuguese ‘l’ represents the voiced sound /ɫ/, a strict adherence to the rules would mean writing 벤세즐라우브라스 Bensejeullaubeuraseu and 이스타니즐라우 Iseutanijeullau respectively. However, if we change the syllable division as /.sɫ/ instead of /s.ɫ/, the /s/ is no longer syllable-final, so we cannot exclude the possibility that it could be kept as voiceless [s] as in Venceslau [Pt: vẽ.sɨ.ˈʃɫau̯, Br: vẽ.se.ˈsɫau̯] and Estanislau [Pt: ʃtɐ̃.ni.ˈʃɫau̯, Br: i.stɐ̃.ni.ˈsɫau̯]. But in actual pronunciation, the ‘s’ in word-medial ‘sl’ seems to be usually pronounced [ʒ] or [z] as expected. The Transcription Rules for Portuguese write ‘s’ as ㅈ j between vowels, where it is /z/, and as 즈 jeu word-medially before a voiced consonant. Therefore, regardless of how they were transcribed in the existing examples, it is closer to the actual pronunciation to write Lisboa, Gusmão, Venceslau, and Estanislau as 리즈보아 Rijeuboa, 구즈망 Gujeumang, 벤세즐라우 Bensejeullau, and 이스타니즐라우 Iseutanijeullau respectively following the rules. Existing transcription examples that do follow the rules include Cosmo [Pt: ˈkɔʒ.mu, Br: ˈkɔz.mu] 코즈무 Kojeumu and Quaresma [Pt: kwɐ.ˈɾɛʒ.mɐ, Br: kwa.ˈɾɛz.mɐ] 쿠아레즈마 Kuarejeuma. But is it the optimal solution to write ‘s’ before voiced consonants as 즈 jeu just because it is closer to the actual pronunciation? Considering that in the existing transcription examples, there are more cases where this rule is not followed (e.g. 리스보아 Riseuboa, 구스망 Guseumang, 벤세슬라우 Benseseullau, *에스타니슬라우 Eseutaniseullau) than where it is, wouldn’t it be better just to write 스 seu before all consonants? Let us consider some more languages for comparison. French, like Portuguese, has separate phonemes /s/ and /z/, with /z/ represented by ‘z’, and with ‘s’ between vowels also usually representing /z/. But while word-medial ‘s’ before voiced obstruents /b, d, ɡ, v/ is usually pronounced [z], it is kept as [s] in more careful pronunciation, and dictionary transcriptions usually give the variant with [s]. In existing transcription examples such as Gainsbourg [ɡɛ̃s.buːʁ → ɡɛ̃z.buːʁ] 갱스부르 Gaengseubureu and Strasbourg [stʁas.buːʁ → stʁaz.buːʁ] 스트라스부르 Seuteuraseubureu, ‘s’ is written 스 seu in such cases. Meanwhile, ‘s’ before voiced sonorants /l, m, n, ɲ, ʁ/ as in Sisley [sis.lɛ] 시슬레 Siseulle and orgasme [ɔʁ.ɡasmə] 오르가슴 oreugaseum is always pronounced [s] in standard pronunciation (though it can become [z] in dialects). Therefore, in French, we can consistently write word-medial ‘s’ /s/ before voiced consonants as 스 seu. It also follows that Lisbonne [lis.bɔnə → liz-], the French name for Lisbon, is transcribed as 리스본 Riseubon as already mentioned. In Dutch as well, /s/ and /z/ are separate phonemes with ‘z’ representing /z/ and ‘s’ between vowels often representing /z/. However, Dutch has a phonological rule that devoices syllable-final obstruents which can then be voiced if followed by a voiced stop. So word-medial ‘s’ before the voiced stops /b, d/ is usually realized as [z], but in more careful pronunciation it is kept as [s]. In the current Transcription Rules for Dutch, however, the letter ‘s’ is always transcribed ㅅ s, 스 seu even if it represents /z/. So in Doesburg [ˈdus.bʏrəx → ˈduz.bʏrəx] 두스뷔르흐 Duseubwireuheu and Ruysdael [ˈrœy̯s.daːl → ˈrœy̯z.daːl] 라위스달 Rawiseudal, the word-medial ‘s’ is transcribed as 스 seu even if it is usually realized as [z]. On the other hand, before the voiced sonorants /l, m, n, r, ʋ/, ‘s’ is always pronounced [s] as in Friesland [ˈfris.lɑnt] 프리슬란트 Peuriseullanteu and Tasman [ˈtɑs.mɑn] 타스만 Taseuman, while if ‘s’ is followed by the voiced fricatives /v, ɣ/, it is the latter that is devoiced to /f, x/ as in Sven [ˈsfɛn] 스벤 Seuben, misgaan [ˈmɪs.xaːn] 미스한 miseuhan. However, the current Rules for Dutch do not account for any such voicing assimilation. English also has /s/ and /z/ as separate phonemes, ‘z’ representing /z/, and ‘s’ between vowels often (though not always) representing /z/. In compounds such as newspaper [ˈnjuːz.ˌpeɪp.əɹ, ˈnjuːs-] 뉴스페이퍼 nyuseupeipeo, if the ‘-s’ of the first element represents /z/, this can keep the voicing as [z] at least in careful pronunciation even if the second element starts with a voiceless consonant. There are many cases where pronunciations with [z] and [s] coexist, as in transgender [ˌtɹæːnz.ˈʤend.əɹ, ˌtɹæːnts-] 트랜스젠더 teuraenseujendeo, Wesley [ˈwɛs.li, ˈwɛz-] 웨슬리 Weseulli, Glasgow [ˈɡlæːz.ɡoʊ̯, ˈɡlæːs-, ˈɡlæːsk.oʊ̯] 글래스고 Geullaeseugo, jasmine [ˈʤæz.mᵻn, ˈʤæs-] 재스민 jaeseumin, Chrysler [ˈkɹaɪ̯z.ləɹ, ˈkɹaɪ̯s-] 크라이슬러 Keuraiseulleo. But in existing transcription examples or in popular usage, the form with word-medial ‘s’ before a consonant written 스 seu is preferred, as in the examples given. When a word-medial ‘s’ can only be pronounced [z] before a consonant, however, it is usually written 즈 jeu as in Disney [ˈdɪz.ni] 디즈니 Dijeuni, lesbian [ˈlɛz.bi‿ən] 레즈비언 rejeubieon, and Queensland [ˈkwiːnz.lənd, -lænd] 퀸즐랜드 Kwinjeullaendeu, with rare exceptions such as Carlsberg [ˈkɑːɹlz.bɜːɹɡ] 칼스버그 Kalseubeogeu that use 스 seu (the transcription according to the Danish pronunciation [kʰɑːˀls.b̥æɐ̯ˀ] would be 카를스베르 Kareulseubereu). While the transcription of English word-medial ‘s’ before voiced consonants is a rather complicated problem as we have seen, it might be advisable to write 즈 jeu when [z] is the only pronunciation and the word is not felt to be a compound, and to write 스 seu otherwise. We also have to take into consideration the rule in the Transcription Principles of Loanword Transcription Examples which says that word-final ‘-s’ should be written 스 seu even if it is pronounced [z], as in news [ˈnjuːz] 뉴스 nyuseu. In Greek, /s/ and /z/ are separate phonemes. The Greek alphabet has the letters sigma σ s and zeta ζ z that represent /s/ and /z/ respectively. Now, σ s usually voices to [z] before voiced consonants /v, ð, ɣ; m, n, r/ (but it remains [s] before /l/). Therefore, we have Λέσβος ‎Lésvos [ˈlez.vos] 레스보스 Reseuboseu, Πελασγός Pelasgós [pe.laz.ˈɣos] 펠라스고스 Pellaseugoseu, κόσμος kósmos [ˈkoz.mos] 코스모스 koseumoseu, and Ισραήλ ‎Israíl [iz.ra.ˈil] 이스라일 Iseurail where σ s is pronounced [z]. However, the Korean transcriptions use 스 seu. While the Loanword Transcription Rules do not include official rules for Greek, the unofficial rules in the Transcription Principles of Loanword Transcription Examples as well as the proposed transcription rules for Greek still under review include no mention of writing σ s as 즈 jeu. There is also an existing transcription example where the name Κοσμίδης Kosmídis [koz.ˈmi.ðis] for a modern Greek individual is written 코스미디스 Koseumidiseu. We have seen that not only in Spanish and Italian (where there are no letters dedicated to /z/) but also in French, Dutch, and Modern Greek (which do have a letter for /z/), we write ‘s’ as 스 seu even when it is pronounced [z] before a voiced consonant. Taking this into consideration, it could be reasonable to change the rules to write Portuguese ‘s’ as 스 seu even when it is pronounced [ʒ] or [z] before a voiced consonant. In other words, we could change the rules so that Lisboa, Gusmão, Venceslau, Estanislau, Cosmo, and Quaresma are written 리스보아 Riseuboa, 구스망 Guseumang, 벤세슬라우 Benseseullau, 이스타니슬라우 Iseutaniseullau, 코스무 Koseumu, and 쿠아레스마 Kuareseuma respectively. If a rule that is part of the Loanword Transcription Rules does not seem to be followed very well even in the official transcription examples—as is the case for the rule of writing Portuguese ‘s’ as 즈 jeu before a voiced consonant—then it would be reasonable to question whether the rule has a sufficient basis and whether it is consistent with rules for other languages. If a rule is being ignored in practice with insufficient reason to keep it, then taking the bold step of revising it in line with actual usage would reduce the distance between prescribed and actual transcriptions.